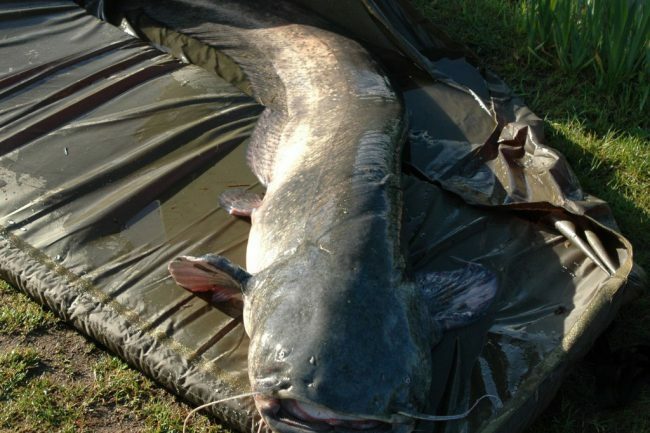 Rodney Hills, 67-year-old angler from Roberts Ride, Hazlemere, landed a massive wels catfish weighing precisely 52.20 kg (114 pounds and 11 ounces). 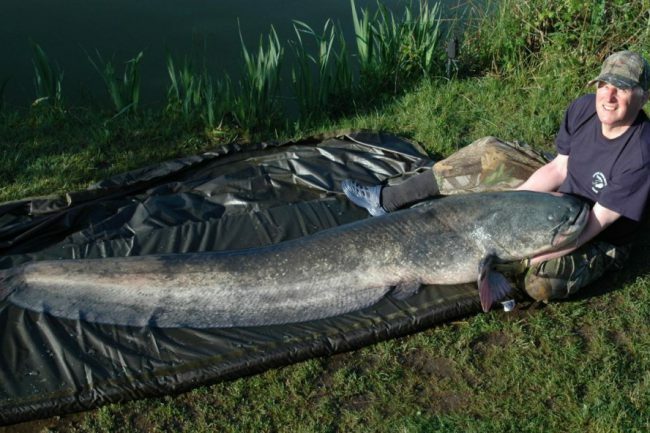 It took him half an hour to fish out this monster from Oakwood Park Lake in Norfolk. Three fishermen from the Catfish Conservation Group fishing party helped Rodney to get the fish out of the water and weigh it. “It was hard work getting it out, it was quite a struggle”, he told the Bucks Free Press. They noticed a circular scar near its dorsal fin while they were photographing and weighing the catch and identified the fish as the famous Duke. The fish is named after Mick Brown, a famous pike angler, who filmed the lake and caught the fish during the film. Mick was asked by the owners to name it. He chose The Duke, after his own nickname. According to the GrindTV, Rodney said that this catfish has good taste when it comes to bait because it fell for smoked pork sausage.